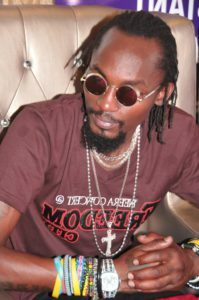 Mowzey Radio’s family will for the next three years benefit from the deceased’s musical contracts. File photo. Just a few months after the Goodlyfe crew signed a contract with Content Connect Africa, one of the members Mowzey Radio passed on mysteriously but the news reaching us reveals how the family of the deceased will continue benefiting from the projects and contracts that are still running for three consecutive years. The contract is to run for three years and subject to renewal once terms and conditions have been followed and observed. However, all the proceeds and Radio’s portion as in the contract will be directed to the late Mowzey Radio’s family for the next three years until the end of the contract. The South African based company Content Connect Africa entered an agreement with the Ugandan dynamic musical duo last year with the first of their project ‘plenty plenty’ whose video was shot and directed in South Africa. With the recent development, however, the Goodlyf did a remix of the song with American rapper Snoop Dog who was slated to jet into the country mid this year around June for more musical projects. Meanwhile, information reaching our entertainment desk reveals that after the death of Singer Mwozey Radio, nothing shall change as per the agreement in the contract and that the family of the late shall be accorded all the proceeds and proportionate fraction that the late was entitled to.